In a TV interview Tim Cook said he “couldn’t disagree more” with Toni Sacconaghi, who said to New York Times that “there’s no question that Apple’s best days are behind it.” But when was the last time Apple was innovative? Maybe it was in 2010, when it introduced the iPad and kickstarted the tablet market. Or maybe it was in 2007 when Steve Jobs announced an iPod, a phone and an internet communicator, all in one device. What about the Watch? The iPhone and iPad did something radically new, but the Watch came at a time when some companies already released their second generation. Apple’s Watch did nothing different or better and fails to find an audience like every other smartwatch. For a long time, the iPhone was arguably the best mobile camera out there, but phones from Samsung and even Google’s Nexus devices, which are generally known for having cameras that are below the standard, now have comparable or sometimes better offerings. It’s hard to find a new gimmick, since other companies already tried dual lenses, laser auto-focus and larger pixels. Apparently, a lot of people still like smaller iPhones and did not upgrade to a larger iPhone 6 or 6s. But Apple failed to give them a smaller iPhone 6s. Instead, it recycled its iPhone 5s design and updated the internals. But the worst thing is that it’s selling only 16 and 64GB configurations, which roughly translates to something like “screw you, customer”. Apple did something similar with the new iMac they released last year. The base model comes with a 5400 RPM HDD, which already was a total rip off in 2012. Speaking of Mac, Apple recently updated its new MacBook line right after HP announced a laptop that’s not only thinner, but also has a fast Intel Core i processor. Apple’s new version still has the slower M processor and still has one freaking USB C port. It’s also been a while since the MacBook Pro saw a design refresh. Meanwhile, Dell managed to get a 13-inch screen in the package of an 11-inch laptop, thanks to its virtually borderless display. But the biggest sign that tells me Apple is done innovating is this battery case, remember? Is it because of patents they couldn’t do it in a different way? Maybe, but something tells me that Jobs rather had not done it if it couldn’t be done the right way. Besides, this is a cheap way of solving the battery problem. 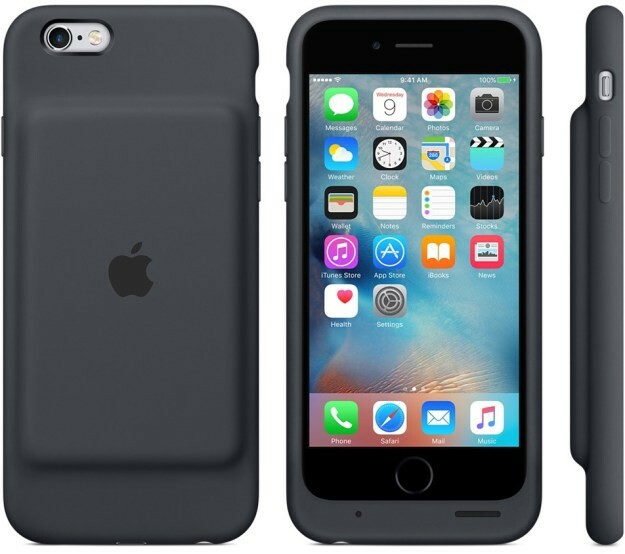 Perhaps you cannot expect Apple to come up with some kind of revolutionary battery, but they could at least try something (free pro tip: make the damn phone thicker).